Hillfoot have an established international sales operation that is designed to make purchasing engineering steel and other metals as efficient and cost-effective as possible, wherever your business is located. 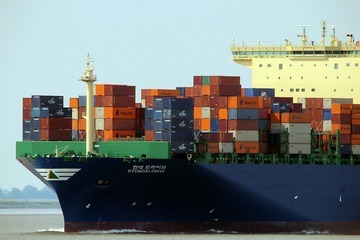 Our global service regularly delivers materials to customers around the world, with every step of the process - including sourcing the right materials, packaging, containerisation and documentation - arranged by our in-house export specialists. When you choose Hillfoot as your international metals supply partner you will benefit from a British-standard tailored service and a guarantee that not only will the materials you receive be of the highest quality, they will also come with the paperwork to demonstrate their origin and certifications. Hillfoot offer a complete global procurement service, which enables us to deliver the materials you need for your manufacturing process, when you want them and in the quantities you require them. The service is managed by a highly-skilled sales team, who have vast experience of setting up and managing international supply routes. They include a number of multilingual staff, with French, Spanish, Polish, Hungarian and Portuguese among the languages spoken. Which Materials Does Hillfoot Supply? 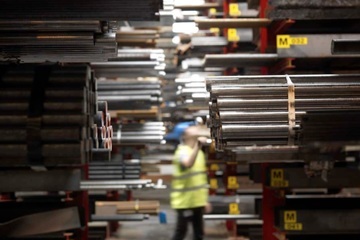 We are a renowned carbon and alloy steel bar stockholder, but our international offer is much wider than that and we can act as a single supplier for all your company’s metals requirements. We also offer a wide range of processing and first-stage machining services to ensure your materials are delivered in the form needed for your manufacturing process. Hillfoot regularly supply metals to customer sites in 38 countries spread across Europe, Africa, Asia and North America, and have an established logistics operation that enables us to deliver materials anywhere in the world. Our full logistical service allows us to export to a wide range of Incoterms, including CIF and DAP. We also provide a complete export documentation service, including EC Certificate of Origin, EUR1 and ATR certificates. Hillfoot’s international sales team understand modern manufacturing systems and design supply solutions to work with them. We can provide Just In Time delivery wherever you are based, guaranteeing availability of vital materials in the right quantities when you need them. Our stockholding models include dedicated and consignment stocks, which could see us store an agreed volume of materials for your company’s exclusive use either at your premises or at a convenient location for delivery. This type of arrangement allows you to access and pay for metals at an agreed price when you need them, allowing you to react quickly to the changing requirements of your customers. It also means you can avoid having to tie up working capital by purchasing the large minimum order volumes required when buying direct from mills. We are confident that Hillfoot’s international sales team can improve your company’s metals purchasing, by reducing costs and ensuring availability of materials when you need them wherever your manufacturing operation is located. Contact us on +44 114 250 3604 or via email to find out exactly how your business would benefit from using our tailored metals supply service. Ask our international sales team for a metals supply quote. See our selection of stocked carbon and alloy steel grades.